Rock climbing in Syria has not been covered yet by a large number of publications as a search on the internet will prove. 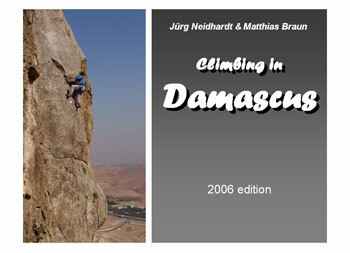 The very first publication has been a local topo guide printed in Damascus by the climbing sites' first developers Matthias Braun, Angelica Hug and Linzey Cartwrigh in 2003. The guide book is now sold out and has been replaced by the completely revised and updated 2006 edition. 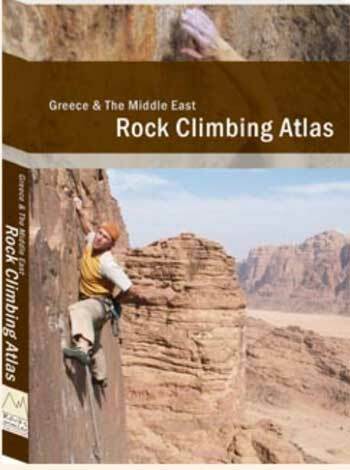 On 80 pages, it describes the routes for the four main climbing sites around Damascus, maps and coordinates and general info on climate etc... It costs 10 Euros if bought locally in Damascus and 15 Euros if sent over the internet. The book is also available by www.pizbube.ch in Zurich, the best bookshop on alpine literature I know. Obviously, for a small edition such as this one, we hope we can selling enough copies in order to recover the print costs. If you like to purchase a copy, contact us. To view an example page, click on the picture below. More general info about climbing in the Middle East can be obtained in the new Rock Climbing Atlas by Wynand Groenewegen and Marlous van den Berg. 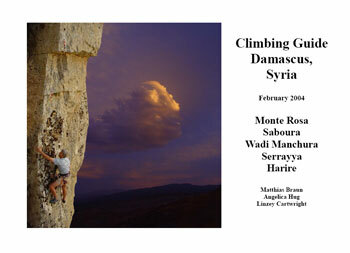 The two have visited us in 2005 and included a chapter on climbing in Syria. The publication yields a wealth of useful information about travel, contacts, accommodation and climbing sites. It can be ordered e.g. at AMAZONE. See their web page: www.rockclimbingatlas.com . 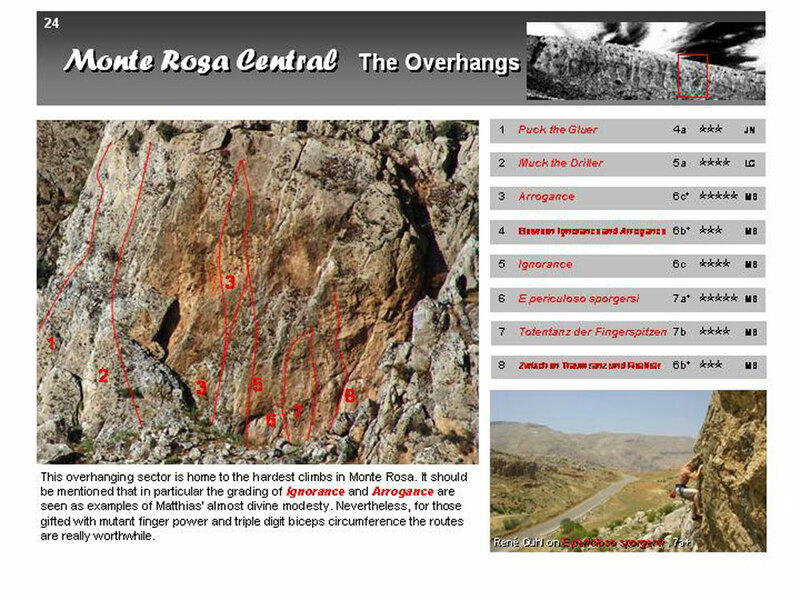 Another source on climbing in the region is Tony Howard's (author of Treks and climbs in Wadi Rum) web page. See www.nomadstravel.co.uk .